The only other time I had something at the Gatsby Cafe was when there were present, I think, they lasted 10 minutes, on RK Salai, but the stuff was so good that I was craving for more. On the way to Mahabs on Sunday, we stopped at Tryst Cafe and I was quite wowed at their offerings. Tryst Cafe, apparently ships fresh bakes every day from Pondy, but I don't know if that is true. I did not expect a full fledged cafe and so the setting with a small but nice outdoor seating and a simple indoor seating actually took me by surprise. At about 130 in the afternoon, the place was packed with expats. 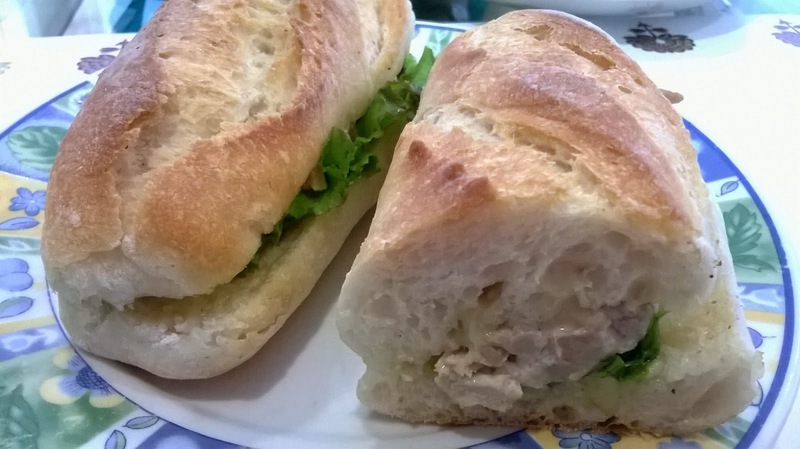 From the bakes, I picked up a baguette chicken sandwich which I thought was quite yummy and I specially like the baguette which was nice and chewy. 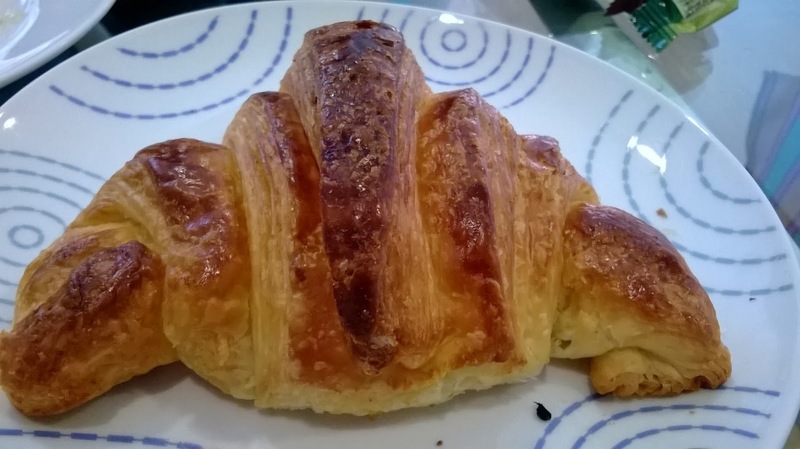 For me, if I see a croissant in a bake shop, I must try it, at least once. The one here was good, but the crunchy exterior was limited to the top part of the croissant while the sides were still soft. Not perfect, but not bad! 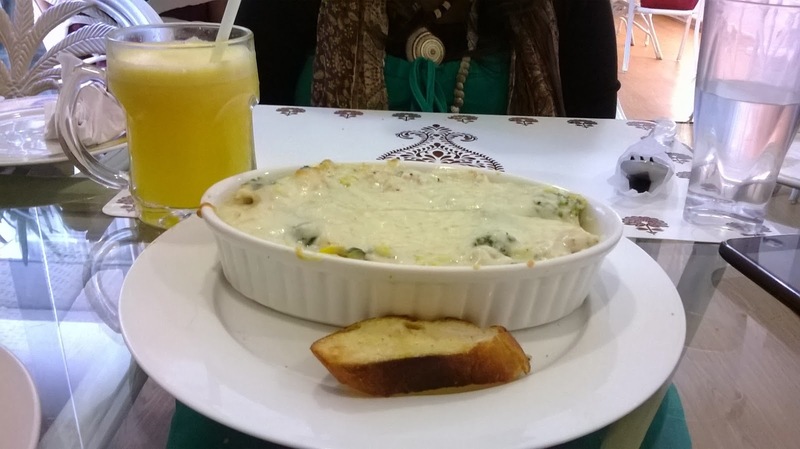 Since this was not a planned meal, but one merely to quench my Gatsby thirst, we could not try much, but still went ahead and ordered a corn, cheese, spinach chicken bake and asked to add broccoli on it. The bake was yum and loaded, I mean, like really loaded with chicken. 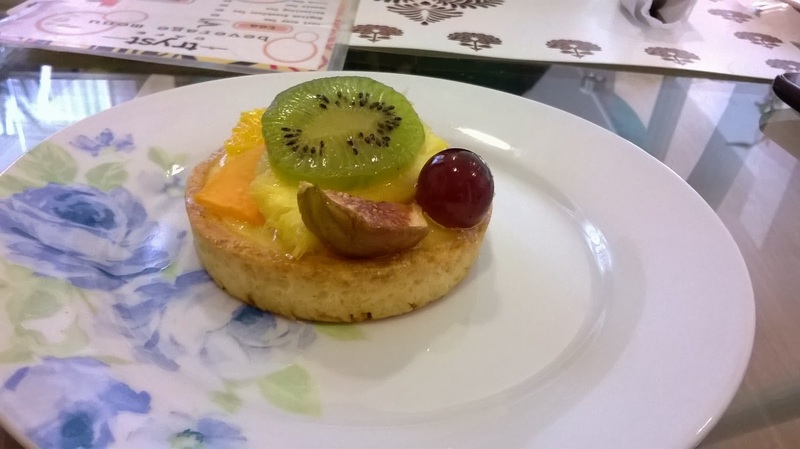 We finished off with an excellent fruit tart. The visit was like this blog post. Out of turn, not satisfactory and something that I have to re-do in order to do full justice to the place, but for some reason (mostly the excellent stuff I had when they were at RK Salai), I just wanted to write something about the place. And I want to go back there and try more of their conti stuff to see if all of them taste the same or if there is more to this place than just bakes. Especially after I saw the 'Grilled Pompfret' on the 'Today's Special' board. And I want to try all their bakes and various types of bread. Basically, I want to back when I'm a little more hungry. Tryst Cafe is on the ECR right in the Gatsby Village Complex.